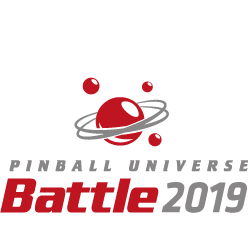 The tournaments will be played (battled) on selected games in the showrooms of PINBALL UNIVERSE, one of the largest pinball stores in Europe. Besides the tournament action, players will have free access to our large free-play area with a great selection of recent and classic pinball games. PINBALL UNIVERSE is one of the largest pinball stores in Europe, located in Bünde, Germany. Besides sale, rental and restoration of pinball games we’re also organizing pinball events and produce pinball accessories like (anti airball) plastics, upgrade kits, protectors for playfields, cabinets and shooter lanes and many more parts. Take a look at our online services. Or visit our store in Bünde, we are looking forward to seeing you! Large Allstars Area for rent: Book your private pinball party!